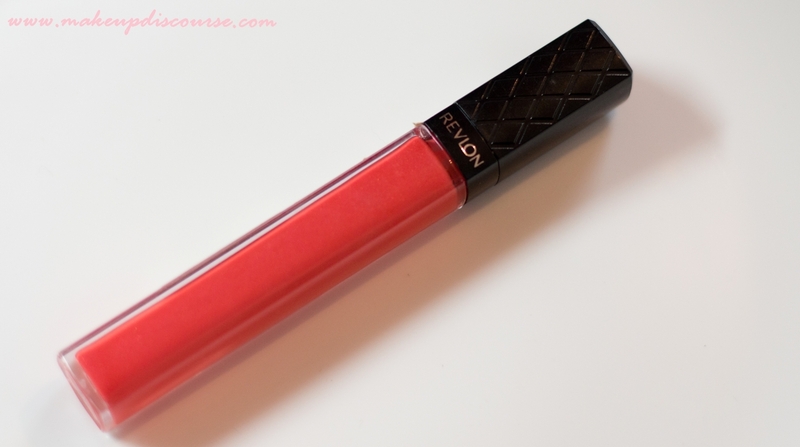 Revlon Colorburst Lipgloss in Papaya is a coral-orange with soft golden shimmer. The finish is intense, glossy and partly opaque. The texture is lightweight and non-sticky, the coverage is exclusive for a lipgloss. The gloss is comforting and moisturising on the lips and does transfer. The applicator is Paddle-shaped which makes it easier to line and fill them in one go. I find Paddle-shaped applicators easier than doe-foot applicators. I had a hard time detecting the scent but I think the gloss has slight Vanilla scent to it. The Full Ingredient list is not mentioned but the Key Ingredients is in print. The Verdict: I love Coral-Pinks and Coral-Orange Lipcolours. I mistook Revlon Colorburst Lipgloss in Papaya as a perfect orange colour but it turned out more Coral Pink on my skin. 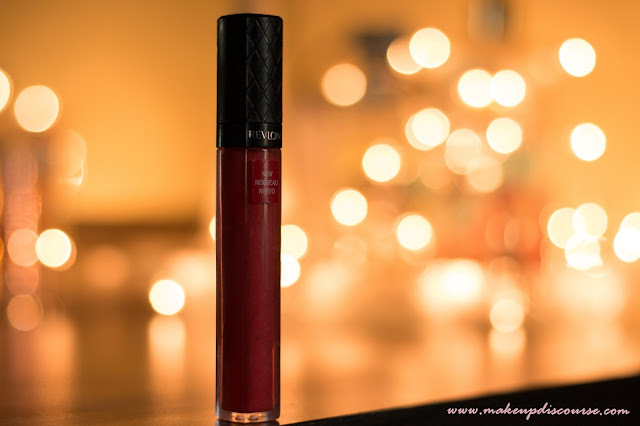 Revlon Colorburst Lipgloss in Papaya is a clear winner in terms of texture and colour intensity but it does transfer easily. 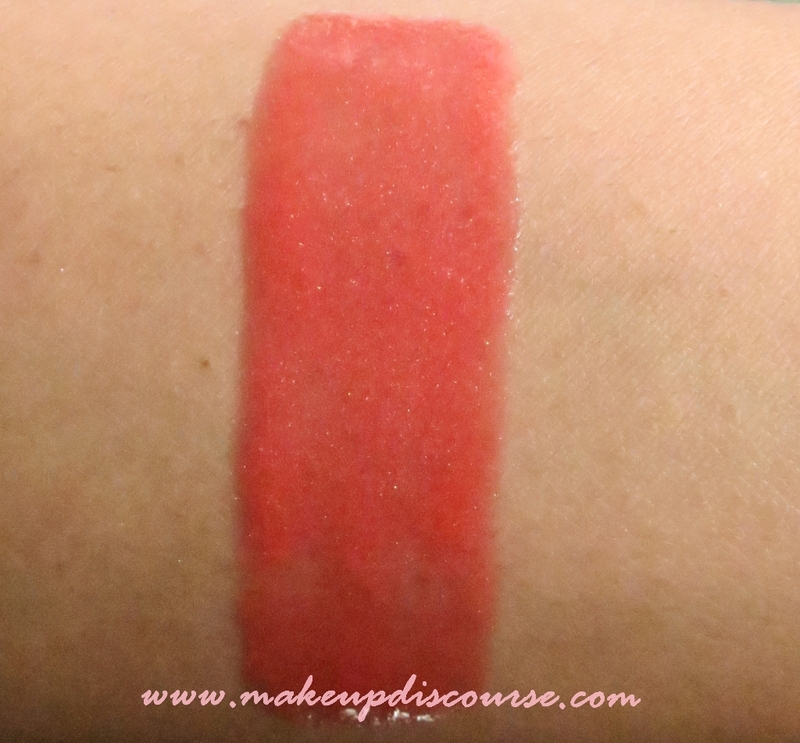 Even on pigmented lips like mine, this goes quite opaque in a swipe. The lasting power is 4 hours and 2 hours with light snacks. It never survived a full meal on me. So give the lasting power, it does leave a slight tint behind. One thing I noticed about this would be it does not make lips plumper like other glosses do. I guess that makes easier to carry off for girls with fuller lips too. Most prefer wearing this over lips lined and filled with a lip liner, but I prefer sheer coverage. I like effortless products: Open, Apply and Move. Recommendations: If you Love Corals, non-sticky Gloss and decent hydration. This would fare on all skin colours and I'm assuming this would look coral orange on darker skin tones. *Pardon the Clarity, I'm using the Canon 50mm STM lens turns out I couldn't figure the aperture & exposure while clicking. All pictures clicked in Daylight.